This really is one of my favourites, such a quick and easy recipe as well as being a real comfort food. To start with I put a pan of water onto boil with a dash of olive oil in. Once this has reached the boil I add the pasta and let it cook through. While this is cooking I pre-heat the oven to around 200 degrees C, and put the can of tuna into a small oven proof dish. Once the pasta is cooked and drained, I mix it in with the tuna, season with pepper. I then grate enough cheddar just to cover the top of the dish. It then goes in the oven for around 10 minutes, or until the cheese has melted and is starting to turn light brown in places. Take out and enjoy. 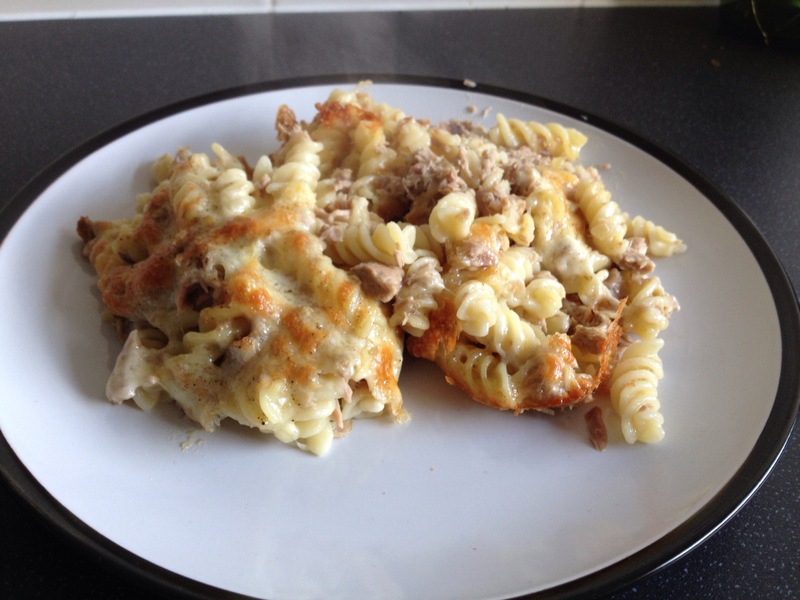 This entry was posted in Recipes and tagged Bake, Comfort food, Diet, Pasta, Recipe, Tuna. Bookmark the permalink.